This post has nothing to do with my ongoing series regarding my connection with national basketball teams. 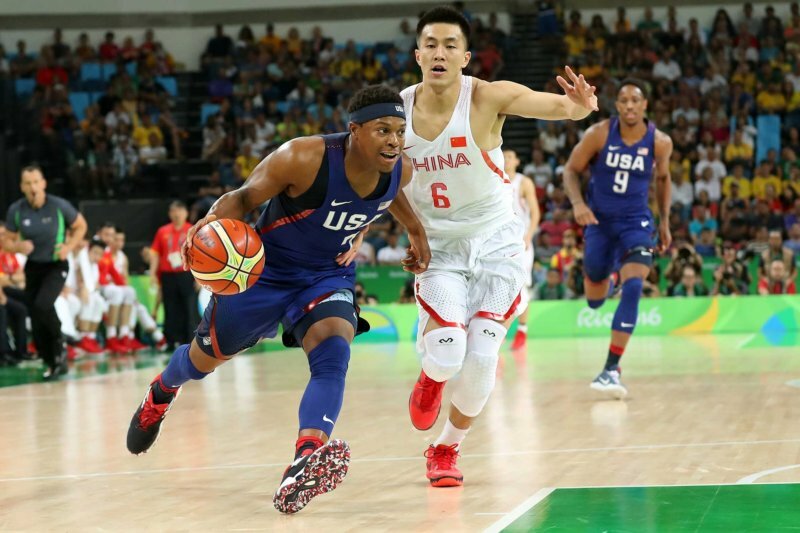 It does, however, regard a national team, China, which was simply destroyed by the USA the other day, 119-62, in the opening game of the Olympic Basketball Tournament. China’s performance … or non-performance … was the worst I have ever seen for a nation with such vast basketball potential. Understand, I am taking nothing away from the USA, a powerful team, perfectly assembled and beautifully coached. But China’s performance was pathetic. It’s one thing for a small, underdeveloped nation to lose like that to the USA but not a powerful nation of 1,500,000,000 people. I first saw China’s national team play in the Worlds, in 1990, in Argentina. Italy beat them, 115-76, and Sandro Gamba, coach of the Azzurri, held the score down. Still, that was +39 for Italy … in 1990. After that, in a 1992 Olympic Preview I wrote for the NABC Bulletin (the quarterly publication of the National Association of Basketball Coaches), I said China had the players to give Italy a much better game but that they had zero in the coaching department. I asked what a supreme coach like Hubie Brown could do with that talent. Well, 26 years have come and gone and I’m still asking the same question. To me, China’s progress report reads like this: going backwards. I’ll get to the matter of coaching in a day or two. For now, here’s my analysis of what I saw the other day. I saw a team that had absolutely no structure, no organization, no identity, no personality, no mission, no cohesion, no culture, no sense of urgency. I can tell you this about guys that play for their national teams: they will play all out, giving everything for their nation, their colors, their flag. May the Gods of Middle Kingdom forgive me, but I saw none of that from their basketball players against the USA. They may even win a game or two after that debacle but, I’m sorry to say I thought they were a discredit to themselves, their people and the game of basketball. Basketball. I don’t want to hear about China’s medal total, much of that piled up in sports I could care less about. Tell me about basketball. Some years ago, a study was done on the most difficult sports. The most difficult individual sport was boxing: footwork, eye work, coordination, hand skills, endurance, strength, strategy and … danger. The most difficult team sport was basketball: footwork, hand skills, quickness, speed, endurance, coordination, elevation, body control, tactical sense and more. As they say, “Ballet on Parquet.” So, give China all the ping-pong medals it can carry home but my own personal jury is out on their sports programs until they show me the goods on the woods. PS, France, which had lost to Australia by -20, beat China last night, 88-60. I’m not surprised.